One of the common tool I use to jot down notes during a meeting is Sticky Notes. 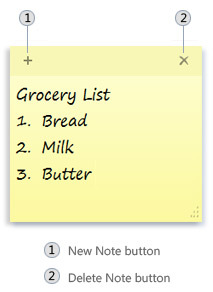 It is more appealing than writing on a pad paper or if with a notebook, using the notepad program. With Windows 7, Sticky Notes app is not readily accessible from the program menus so I will give you the best shortcut to find this tiny but useful program. 1. Click Windows Start button then in the search box, type Sticky Notes. 2. From the list of results tap Sticky Notes. Quite simple isn't it? Start jotting down notes with Sticky Notes.